TMW has completed commissioning of its advanced, heavy gauge slitter and is now processing coils up to 5/16” (8mm) thick. This is TMW’s second RBI slitter and latest investment in equipment and upgrades to remain the premier toll processing center for slitting, EPS pickling, stretcher leveling and cut-to-length processing of heavy gauge, high strength flat rolled. The new slitter can process material up to 0.315″ x 75” (8 x 1905mm) and 100K tensile strength from coils up to 55,000 lbs. It holds a width tolerance of +/- 0.005”, features an integrated packaging line and is located right next to TMW’s environmentally friendly EPS pickling line. 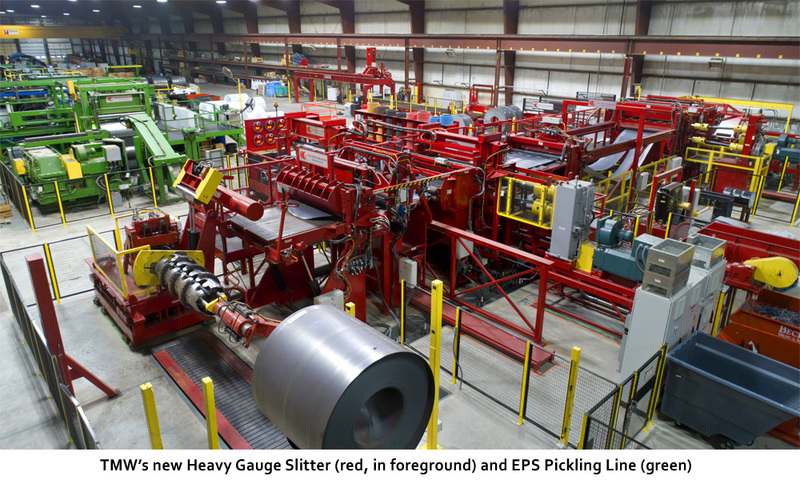 TMW President Kevin Voges remarked, “This slitter is part of a two-year investment program we undertook to place unmatched heavy gauge capabilities under one roof. We had previously installed our EPS Coil Line and upgraded our 5/16” x 75” CTL line with a new stretcher section and roll feed. Now we can offer customers heavy gauge EPS’d slit coil, a product they have been requesting for some time. The final piece will be adding a new RBI SUREGRIP® Stretcher section and controls to our .130″ x 74” Stretcher Leveler blanking line later this year. That will boost its capability to 0.200″ thickness. The Material Works, Ltd. (TMW) announced today that a new, state-of-the-art Slitting Line from Red Bud Industries will be installed in TMW Plant #2, next to the Generation 3 EPS Pickling Line. 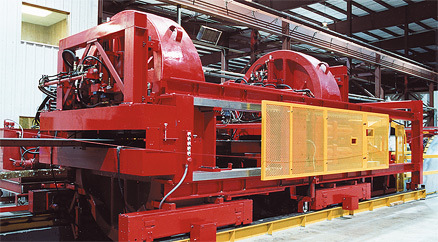 The slitter will process material from 0.030” to 0.315” thick from master coils of up to 60,000 lbs. It is expected to be operational late 3Q 2018.
upgrades to increase capacity of our two Stretcher Leveler CTL lines. TMW announced today that growing demand for its EPS Unlimited flat rolled product has motivated major investments in its Stretcher Leveling Cut-to-Length lines. Capacity increases for TMW’s two Stretcher Leveler CTL lines will be phased in beginning this September and are scheduled for July 2018 completion with no interruption in service to TMW customers. The producers of the TV program Manufacturing Marvels seek out companies who are considered both leaders and innovators in their industry. They profile such companies to show the strength and resilience of US manufacturing. TMW was honored to be selected by Manufacturing Marvels for a video profile, which aired on June 20 on FOX Business News. We are pleased with the segment they produced and wanted to share it with our customers and partners. Click on the video image below to watch our Manufacturing Marvels profile. 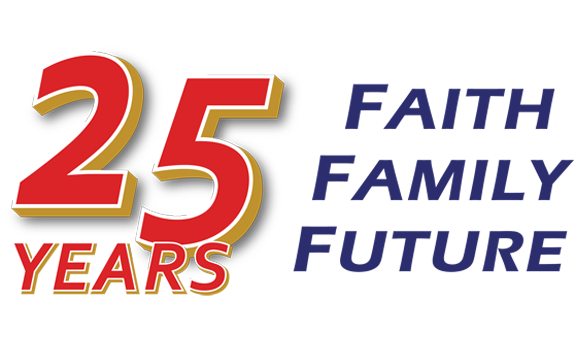 In 1992, inventor and entrepreneur Kenneth Voges founded a modest flat rolled toll processing company to serve regional manufacturers. The Material Works Ltd. (TMW) has grown into one of the country’s leading toll processors and a developer and supplier of innovative technology that solves tough steel processing challenges and improve productivity. Read more about how these principles guide TMW. The Material Works, Ltd. (TMW) has been named the winner of American Metal Market’s 2016 Award for Steel Excellence in the category Best Process Innovation. This prestigious award recognizes the research, application testing and design refinements to TMW’s patented Eco Pickled Surface (EPS) technology that achieves much faster, more complete pickling of challenging grades of steel. 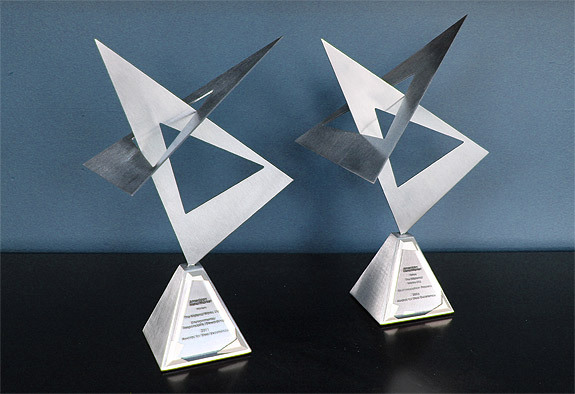 EPS technology received the AMM Award for Steel Excellence in the Environmental Responsibility and Stewardship category in 2011 to recognize how the new, environmentally benign EPS process replaces hazardous, environmentally deleterious acid pickling of flat rolled steel. 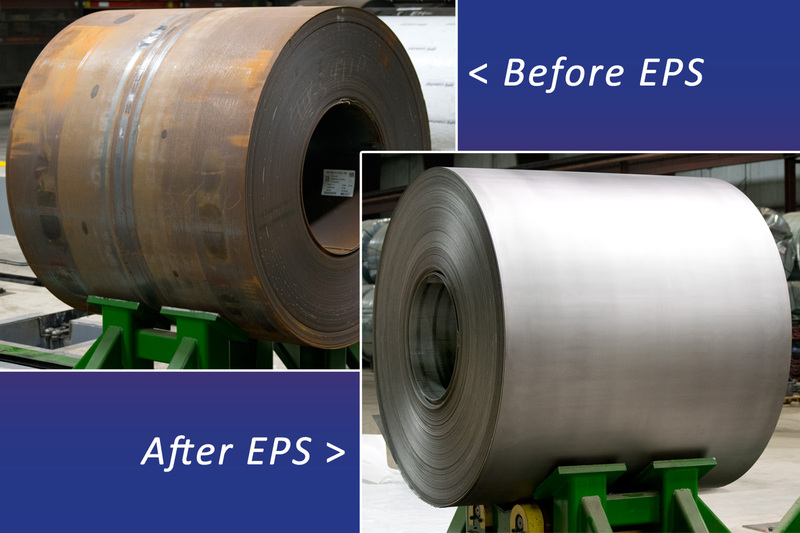 Since that time, the TMW R&D Team has further enhanced EPS technology so it is even more efficient in pickling grades of steel that prove especially difficult for acid pickling – stainless steel, silicon steel and the new advanced high strength steels (AHSS).